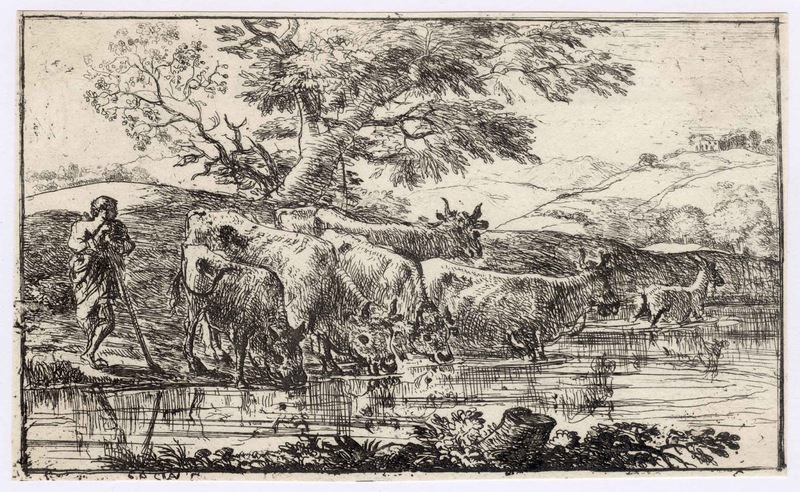 “Le Toupeau à L’abreuvoir” [The Herd at the Watering Place], 1635, related to painting on copper in the Musée du Louvre (cat. no. 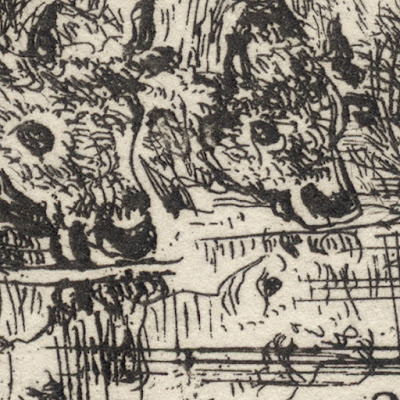 P9). 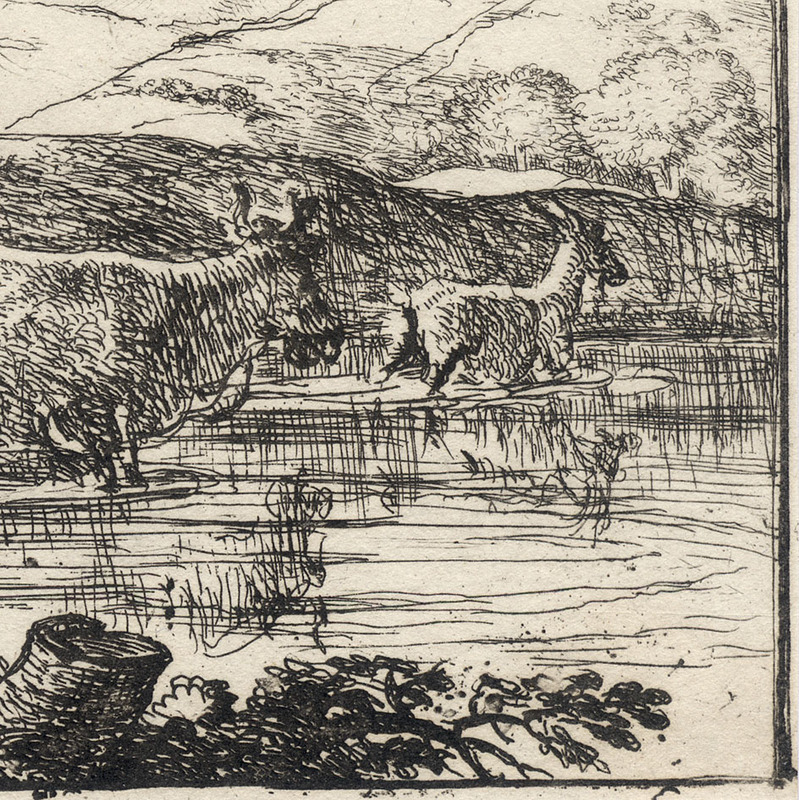 Etching on wove paper (trimmed at the time of publication by McCreery in his 1816 edition of “200 Etchings” printed from the original plate). 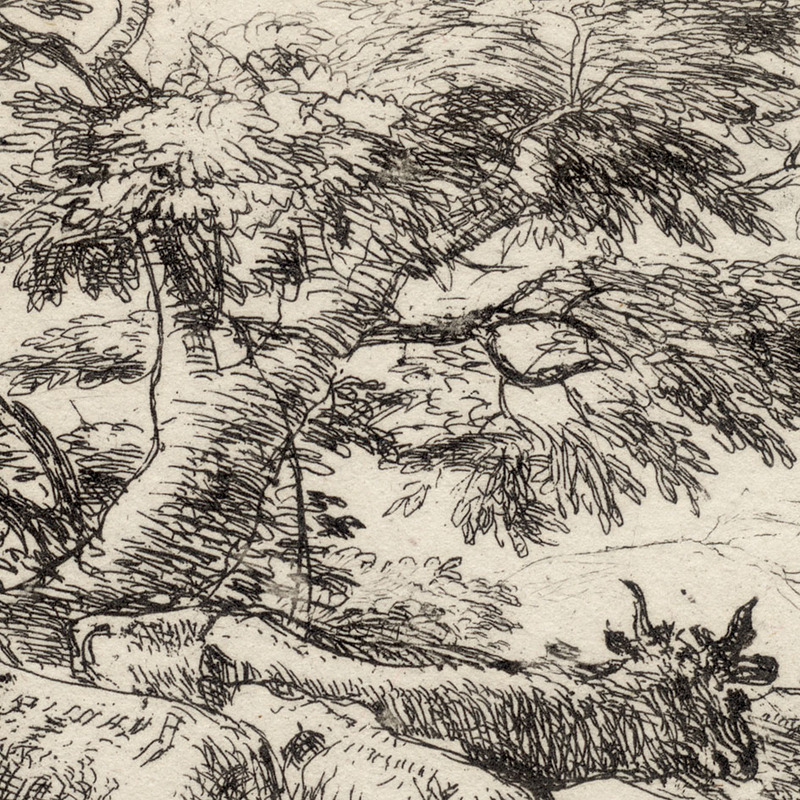 Condition: crisp, near faultless impression in superb/museum quality condition (i.e. there are no tears, holes, abrasions stains or foxing). The verso shows traces of the early glue marks (removed) when the print was mounted in McCreedy’s (1816) folio edition of “200 Etchings”. 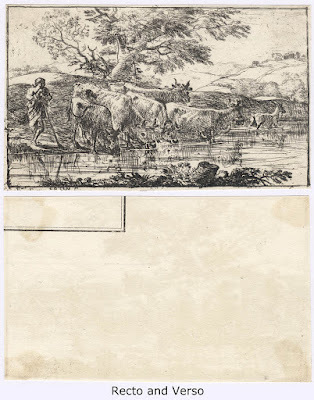 The verso also features a fragment image from “Stirpes Novae” which was used by McCreedy as the paper stock for the “200 Etchings” folio as discussed by Lino Mannocci (1988) in “The Etchings of Claude Lorrain” (p. 28) and by H. Diane Russell (1982) in “Claude Lorrain 1600–1682 “(p. 300). 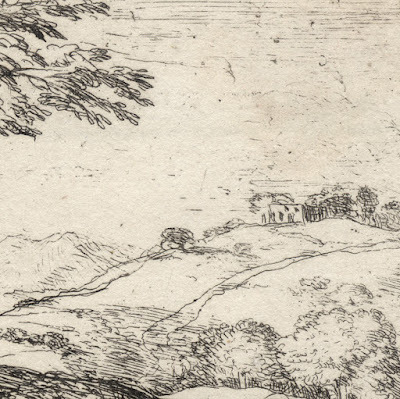 I am selling this original etching from the 1816 edition by McCreery, executed by the one of the most famous of the early landscape artists, for a total cost of AU$378 (currently US$290.12/EUR245.76/GBP216 at the time of this listing) including postage and handling to anywhere in the world. If you are interested in purchasing this seemingly rapidly drawn composition by one of the major old masters, please contact me (oz_jim@printsandprinciples.com) and I will send you a PayPal invoice to make the payment easy. Before McCreedy trimmed this print for his 1816 publication, “200 Etchings”, this impression would have had exceptionally wide margins (approximately 3 cm on each side) between the platemark and the image borderline. I know this to be a fact as I have another impression, also pulled by McCreedy, which retains the curiously wide margins. 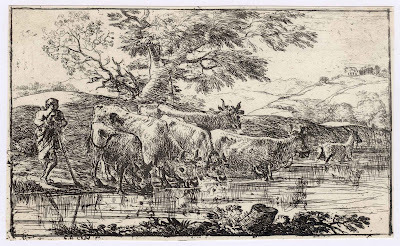 Tonight, when researching this print I discovered a sensible explanation offered by H Diane Russell (1982) in “Claude Lorrain 1600–1682 “ (exh. cat., National Gallery of Art, Washington) for the large margins that were once an integral part of this print: “The answer is obviously speculative, but … the print suggests a fresco on a wall, in the manner of antique wall painting and of frescoes by Tassi and his assistants at the Villa Lante, where Claude was possibly employed as a garzone” (p. 147). Wow! 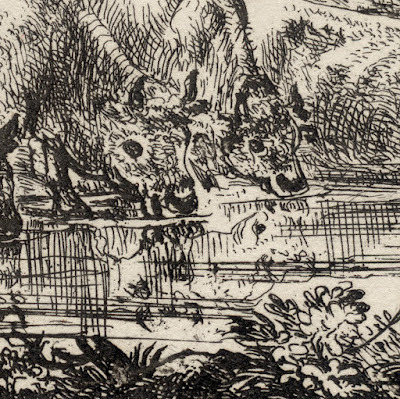 This argument sits well with me as I see the loose manner of the drawing and the composition itself as having a connection to the flat surface of a wall. 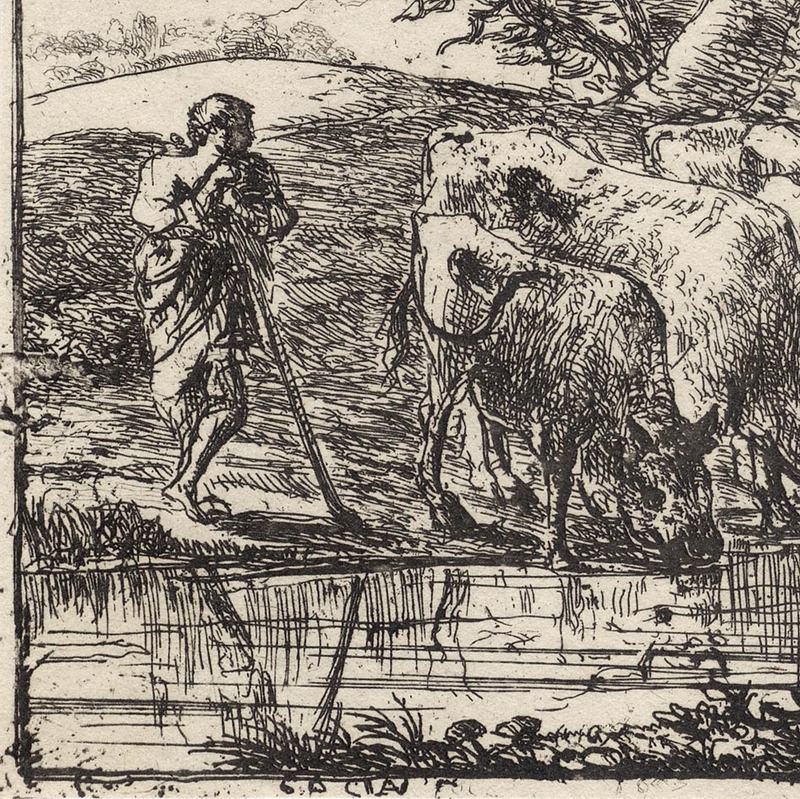 For those that are wondering about the verso side of the print which features lines from another image, McCreedy was like many of the 19th century printmakers in seeking out the “best” paper stock to use for his prints. 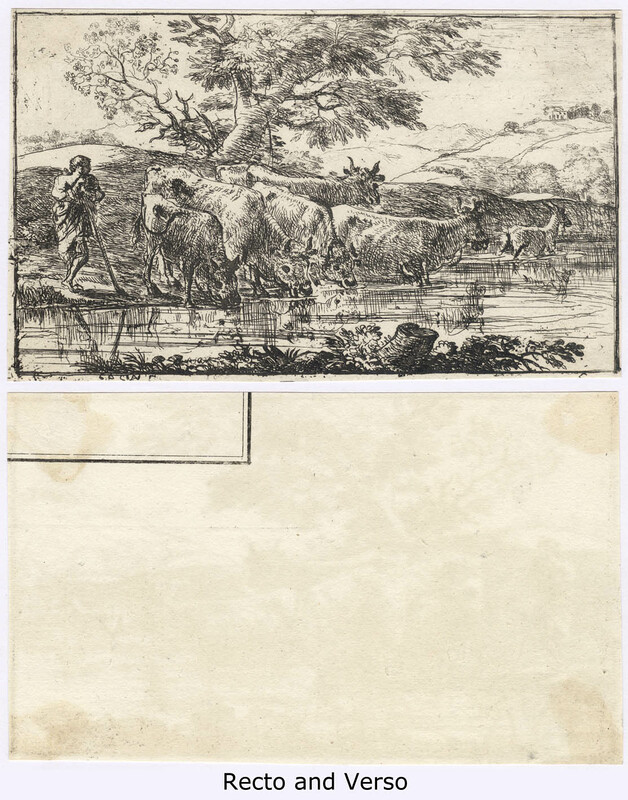 Interestingly, McCreedy had a love affair with the paper stock on which “Stirpes Novae” was printed and he chose to use the back of these prints for some (all?) 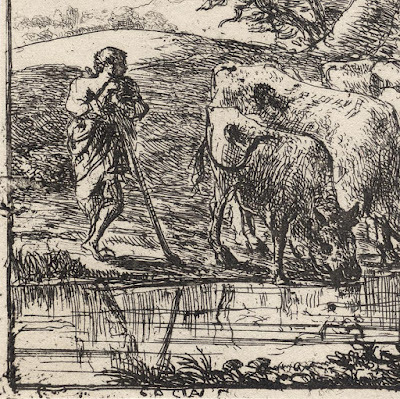 of his etchings pulled from the old master plates. 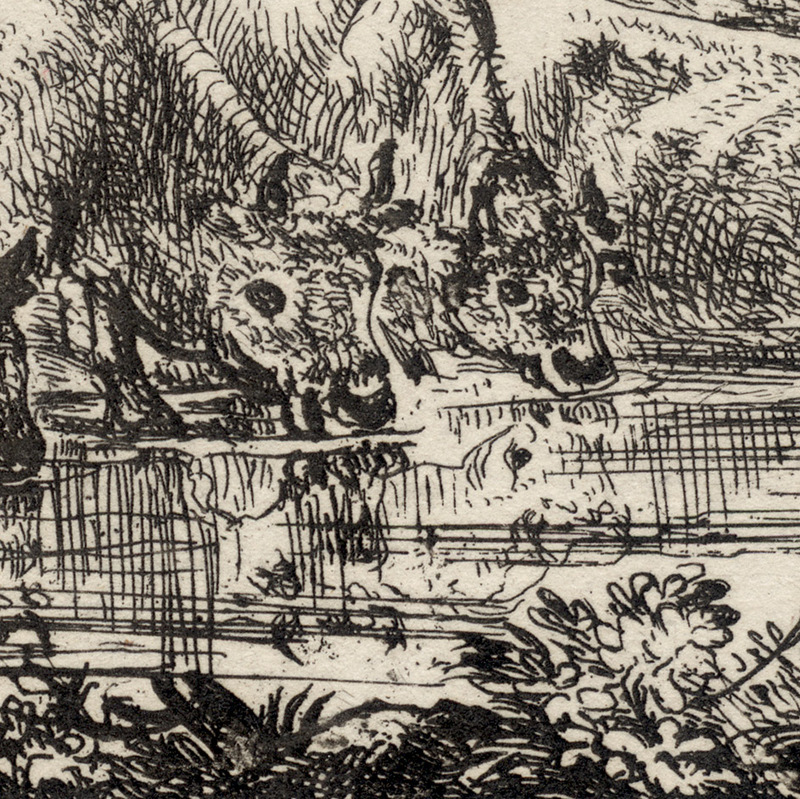 Even some of Rembrandt’s prints pulled from the original plates by McCreedy feature lovely flowers printed on their backs (see my earlier blog post on Rembrandt where I list one of these).